Not even if we refer to historical manuals can we find a real and proper code governing the position of the serviette on the table. It is normally discreet folded and placed to the left of the plate. For aesthetic reasons, it may be positioned to the right of the plate and even between the glasses and the bread plate above the plate if dessert cutlery is not used. If there is not enough space, it may be placed on the plate. 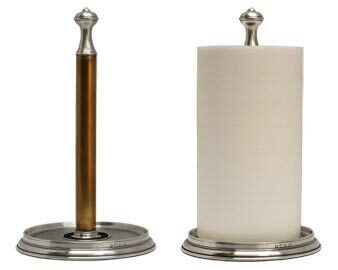 Our serviette rings and holders are made from cast pewter. The serviette rings may be round or oval and can be personalised with names or symbols.